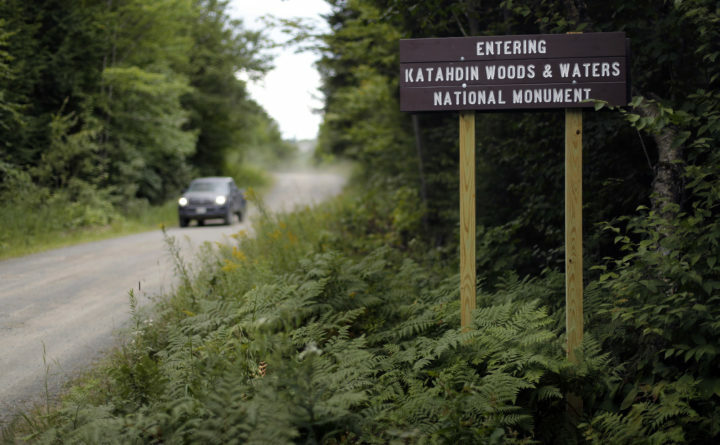 A sign marks the entrance to the Katahdin Woods and Waters National Monument near Patten, Aug. 10, 2017 The National Park Service this month requested bids for 16 secondary road signs that will be installed before years end, along with six large signs for Interstate 95 that will direct motorists to Katahdin Woods and Waters National Monument. Gov. Paul LePage had previously opposed installing the signs, but lifted the ban in April.